Designed specifically for lightweight mobility, speed of target acquisition, and potent firepower capability - the Colt Law Enforcement Carbine delivers. 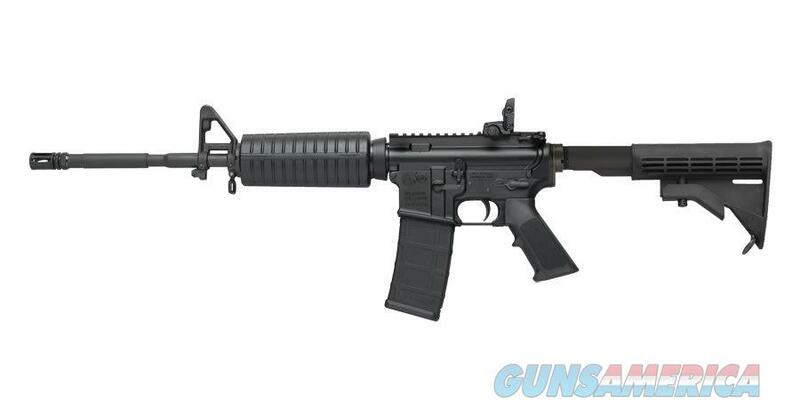 This specially designed law enforcement weapon system features many of the combat proven advantages of the military Colt M4. With the 4-position buttstock fully retracted, the Colt Law Enforcement Carbine is 35.5 in in length and weighs only 6.95 lbs - ideal for tactical deployment and traditional patrol. Colt's Law Enforcement Carbine is available with a step-cut barrel that allows it to accept a grenade launcher for non-lethal options. Furthermore, the handguard has dual aluminum shielding for more effective heat protection.